Last modified: April 18 2019 09:59:19. 2. Last date for submission of application form for a course is 20 days before the commencement of the programme. 3. In special case condition(2) may be relaxed only if the sufficient number of participants are not available. 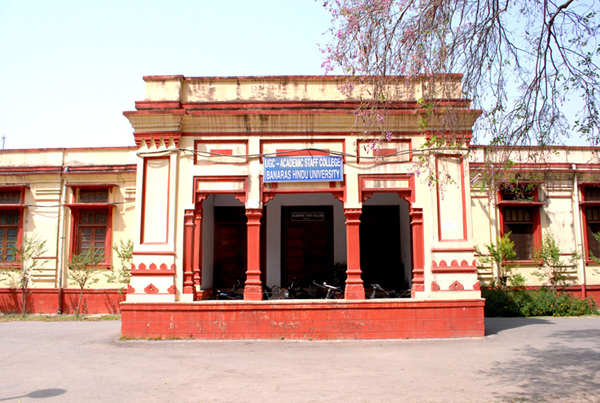 Banaras Hindu University (BHU), a Central University established in 1916 located in Varanasi, India is the largest residential university in Asia. The fully-residential campus has more than 140 independent teaching departments. Its 1350 acre (5.5 km2) campus was built on land donated by Kashi Naresh. Total enrollment in the University is just over 18000, including students from India and abroad. Several of its colleges, including engineering (IIT-BHU), law and medicine (IMS-BHU), are ranked amongst the best in India. National Policy on Education (NPE) 1986 in its program of action makes a pointed reference to the crucial link between teacher motivation and the quality of education. The NPE recognized the need for improving quality of teaching and proposed to provide opportunities for professional and career development so that teachers may fulfill their role and responsibility within the system of higher education. It was proposed to enhance their motivation skills and knowledge through systematic orientation in specific subjects, techniques and methodologies, and thereby inculcate in them the right kind of values that would in turn encourage them to take initiatives for innovative and creative work. d) To encourage teachers to participate in seminars, symposia, workshops, etc. In order to achieve the above, a Scheme of setting up UGC-Academic Staff College in suitable universities in the country was initiated by University Grants Commission (UGC). UGC has changed the name of all UGC-Academic Staff College to UGC-Human Resource Development Centre w.e.f. April 01, 2015. Yash Pal Committee, March 2009 in its report also says that it is also necessary to enhance the quality of teacher education within higher education. At present, UGC-Human Resource Development Centre, BHU are serving to provide refresher courses required by faculty to acquire eligibility for promotion. While this role is important, the manner in which it is being fulfilled is far from satisfactory. It is necessary to develop full-fledged orientation programs for newly recruited teachers in colleges and universities. Such courses should orient teachers towards the proposed curriculum framework as well as to impart communication and assessment skills.